Q. How did you get the gig with Roy Eldridge? A. He was amazing. The reason I got that gig is, I was probably one of the better drummers in town. And musicians would come through as singles, picking up rhythm sections in each town they went to. They’d come upstate New York and go through Buffalo, Syracuse, Rochester, and all those different places. When they came through to play a club in Rochester, I would get the call. I was underage. I was only like 16. But my father would go with me and stay with me the whole night. Q. You had great parents. Q. 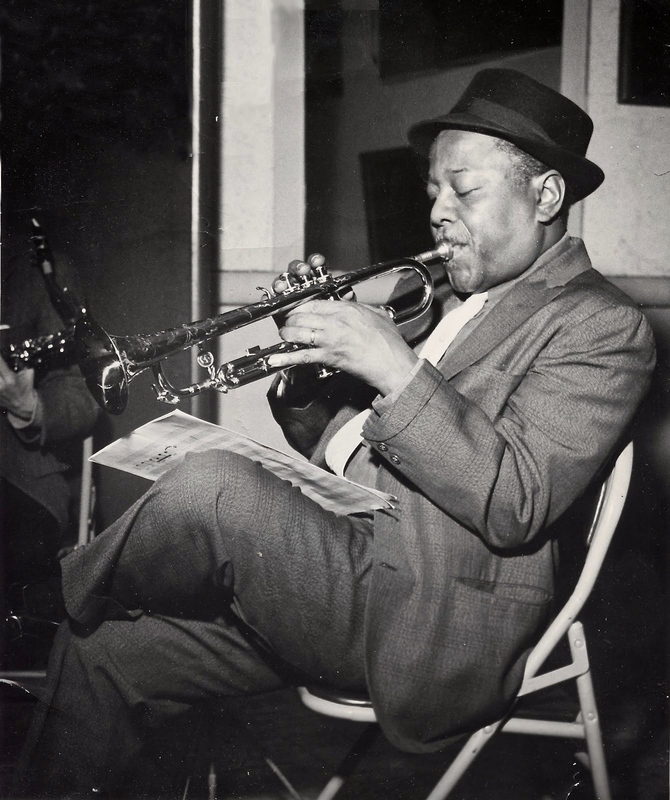 Were you on the road with Roy Eldridge? A. No. I just played with these guys when they came to town. I didn’t go on the road until after I got out of the Air Force. Q. The first night you’re playing with Roy Eldridge, does he expect you to know his songs? A. They had rehearsals in the afternoon. The gigs back then didn’t start until around 9 at night. So we would go in, play several different songs, and then play them at night. That was it. Q. Roy Eldridge was a good drummer too. A. He was. He loved it. Q. Were there life lessons Roy Eldridge shared that stuck with you? A. No. They would just tell you things like, “Relax,” and “Don’t try to play everything you know at one time.” (laughs) Just relax and be yourself and try to groove. And that’s what did. Q. After the Air Force you played and recorded with the Mangione Brothers. What a great band that was. Can you talk about that experience? A. When I got out of the service I came back home to Rochester, and there was a club there called The Pythodd. It was a jazz club and had a great bunch of jazz musicians playing there from the Rochester area, and outside Rochester. That area brought in a lot of musicians. I think because the Eastman School of Music was there. The Pythodd. Roy McCurdy on drums. Chuck Mangione on trumpet. I was home for about two or three weeks and got the gig playing at this club. It wasn’t an organized group then. It was just a bunch of different guys playing every night. The bass player was Ron Carter. He was going to school there. Pee Wee Ellis was tenor saxophone player – who played with James Brown for years, and a lot of different people. Sal Nistico. Joe Romano. A lot of different musicians from upstate. So, we were playing there. Chuck [Mangione] was playing there too, and his brother Gap [Mangione]. Occasionally. It just kind of developed into Chuck’s group. He started writing tunes and it became an organized group. We were working at The Pythodd six nights a week. It was a sextet. There was, Gap, and Chuck, and myself. Ron left to go to New York. Bill Saunders was the bass player. Larry Combs. And Sal Nistico was in that band. It was just a great band. We recorded a single called Struttin’ with Sandra, and then recorded an album called The Jazz Brothers. Cannonball [Adderley] had this series on Riverside Records called Cannonball Adderley Presents. He would present new acts and old acts he thought should be heard. Our group was one of the groups he picked. Q. Other than saying, “Hey, Riverside, this is a great group. Record these guys,” did Cannonball have anything to do with song selection and/or arrangements? A. He didn’t have anything to do with writing the charts. He selected the group for recording, and he would also be in the recording studio when we were doing it. He and Orrin Keepnews were in the booth throughout the whole recording session. Q. 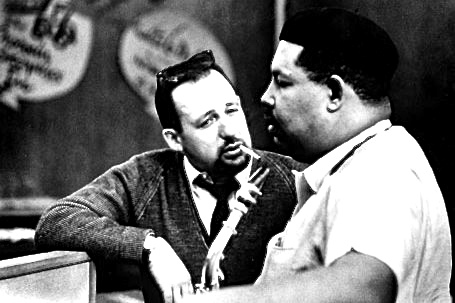 Was it intimidating to have Cannonball Adderley in the studio? How did the group react to that? A. The group was fine. We met Cannon earlier in Toronto. Chuck and Gap and I had driven up to Toronto and met him and Nat Adderley. They were playing at the Town Tavern. We went up there, saw them, and got to know them a little bit. So, no, it wasn’t intimidating. They were really gracious, really beautiful people. The only thing intimidating? Here we are in New York [City] recording our first big album in this big studio, you know? But we were prepared because we’d been playing the music for a while. After the record came out we started traveling up through New York State and did a lot of gigs with that particular band. We ended up in New York City at The Five Spot. We did a two week gig there which was really nice. A couple of guys went through that band too. The bass player, Bill Saunders, left and Steve Davis played. He also played with [John Coltrane] ’Trane. And Jimmy Garrison was with the band for a while. Then when we left The Five Spot we came back to Rochester and started working again back in The Pythodd. 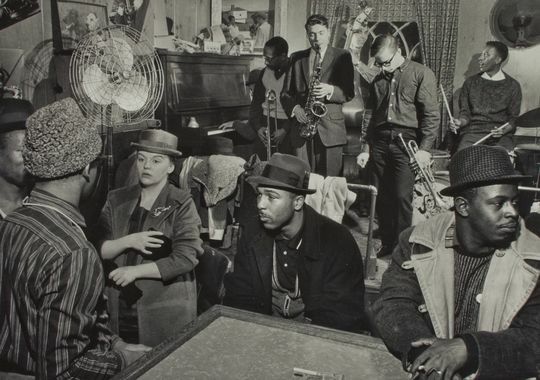 I think maybe two, three weeks later I got a telegram from Art Farmer – he wanted me to come down to New York and join The Jazztet. He had come in to hear us at The Five Spot and to hear Chuck play and that led to me getting the gig with them. Q. The Jazztet’s Here and Now album is one of my all-time favorites. It’s also the second time I heard you play. What impressed me at my very first listening? You were swinging hard and playing so clean and precise. A. That’s how The Jazztet was. It was clean. They had a great book. They were almost not too successful because the people thought, “Oh, they’re really too polished.” But it was a great band. A lot of guys went through this band. Mosaic has a big box set with all the Mercury/Argo Jazztet records and a booklet of everybody who went through that band. It’s really nice. I did about three albums with them. That was incredible. 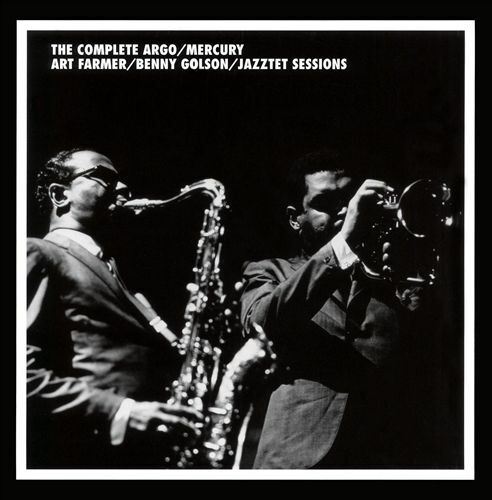 I really enjoyed playing with Benny [Golson] and Art [Farmer]. I still play with Benny today. We still do some things together. Q. Benny Golson is a musician I don’t think of often. But whenever I put on a record with him on it – he’s always playing great. He just doesn’t come to mind as often as, say, Sonny Rollins or John Coltrane. They flew me into New York. The Alvin Hotel, right across the street from Birdland, is where they put me up. I thought we were going to meet at Birdland in the afternoon, meet Benny – because I hadn’t met Benny. I’d only met Art – and talk about being in the group. I walked across the street, Scott, at about 1 o’clock to meet them, and saw this big line of musicians outside. Horn players and everybody. I said, “Wow, what’s this?” I walked across the street and Benny said, “Uh oh. Here comes Roy McCurdy the Rochester Flash.” It turns out they didn’t bring me down to join the group. They brought me down for an audition. They took us down into Birdland. They called each guy individually. Different drummers, different horn players, different people to play. At the end of the evening they called us into the back room individually and talked to us. When I came in Benny said, “McCurdy, the gig is yours. We want you to play with us.” So I didn’t have to go back home! Q. On Here and Now were your fills and solos worked out beforehand or were they spontaneous? A. Just improvised on the spot. Those were just some of the things I played. Before we recorded the tunes we had been out on the road playing for a while. So you kind of got used to playing different fills on tunes. So those were my fills, but not worked out beforehand. Q. Up to and including your time with The Jazztet were you particular about your drums? Did you have a favorite drumset? One drummer on DrumForum.org is willing to bet that on Here and Now you were playing a wood Rogers Dynasonic snare drum. A. I think I was playing Gretsch drums at that time. That’s funny he said that. 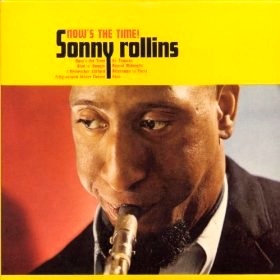 I did have an endorsement with Rogers, but not until I was with Sonny Rollins. Q. Your drums sound beautiful on Here and Now. When you were in the recording studio did you have a say in how engineers recorded your drum sound? A. No. I just tuned my drums a certain way. I just went in and did the sound check. But it was just the way I tuned my drums. I used to like mine to be crisp and sound clean. Today we do have more say, but back then you didn’t have too much of a say about the [recorded] sound of the drums or the way they did things. Q. The engineers weren’t deadening drums. A. No. They didn’t do anything like that. I could play the drums open with no problem. We’d record in the same room most of the time. There wasn’t a lot of separation. I remember they would use partitions around the drums to keep the sound from leaking out too much. When we recorded with Chuck [Mangione] we were all in the same room. Now in the studio all musicians are pretty much separated. Another thing: we used to record a whole album in five or six hours. We were through. Now it takes two or three days or more to record one album! I’ll never forget. I was so used to going in to record in the afternoon, be out in time for dinner, and the whole record would be done. Later on, when I was playing with Blood, Sweat and Tears, man, we would record for six months on the same album! So we did those [early albums] fast. It was incredible. And we didn’t know we were making records that were going to mean something later on. We did them fast and some are classic records today. Q. What happened after you left The Jazztet? I was with The Jazztet for a little over a year, then with Betty Carter, and then working in Brooklyn with Kenny Dorham at club called the Blue Coronet. A guy named Prophet Jennings, who was friendly with Sonny Rollins, used to come by my gigs when I was in New York. And he used to come over to Brooklyn to the Blue Coronet. [He told me] “Sonny’s getting ready to change drummers and he’s real interested in you.” So I said, “Great.” And I finally got to meet Sonny. He said, “Yeah, McCurdy, I would like to have you play with my band.” I said, “Great.” We met in New York. Me and Sonny and Henry Grimes was the bass player. Later Ron Carter became the bass player, and Sonny also used Paul Bley on piano for quite some time. But most of my time with the band it was a trio format: bass, drums, sax. I had the best time with Sonny. That was 1962. Played a lot of gigs with him. 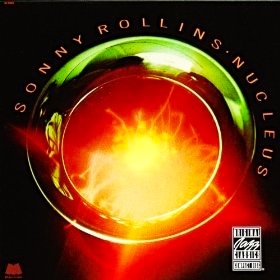 Made three albums with him: Now’s the Time, Nucleus and another really great album with him called, Sonny Meets Hawk with Sonny and Coleman Hawkins. Q. What made your time with Sonny the best time? A. Because it was just the three of us playing and I became so strong with that band. Listen, Scott, we would start playing and I’d look up at the clock, 15-20 minutes had gone by, and we were still playing the same tune. Half-an-hour later we’d still be playing the same tune. Uptempo! I played sets with Sonny where the set would be one tune. Or a series of tunes that would never stop. Just one tune into another. You’d play uptempo. The bass would have a solo. Then the drummer would have fours or eights with Sonny, then I would have a solo, and Sonny would come back and play forever again. So I became really, really strong playing with Sonny in that format. And I had the greatest time hanging out with him. We traveled all over the world. The first time I went out of the country was with Sonny. We went to Japan. Henry Grimes, Paul Bley, and myself. Betty Carter was with us too. We accompanied her. About a year ago Sonny and I were talking on the phone. He said that period was one of the best times in his musical career. That was special to me, coming from Sonny. Q. Did that trio make unreleased recordings? A. Could be. I’m not sure. We did a lot of stuff for RCA Victor at that time and other things. 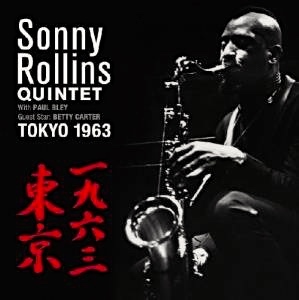 The concert in Japan with Sonny and Betty Carter was released in 2008 as, Sonny Rollins Quintet: Tokyo 1963. We stayed in clubs like in The Five Spot in New York – it’s amazing to say this now – but we stayed in those clubs a month, two months at a time just with this one group in the club. You really had a chance to get very, very tight. And if we weren’t there, we were traveling. It was just so beautiful playing with Sonny. He was a rhythmical player. He’s perfect for a drummer to play with. I loved it. Q. I was listening today to the Sonny Meets Hawk album. That gets pretty out in spots. Q. It’s fun to listen to. A. It is. I get so much feedback. Everyone wants to know about that album. Sonny Meets Hawk. 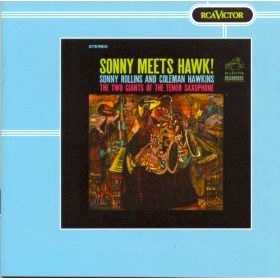 Sonny, he loved Coleman Hawkins. He almost kind of imitated him on that album. They were having the best time. Both of them. We did that album pretty late at night at RCA in midtown Manhattan. Q. Did you ever speak with Sonny Rollins about some of the other great jazz musicians he played with, like Charlie Parker and Clifford Brown? Or did he ever talk about them? A. No. He didn’t talk about that. He loved all those guys I’m sure. But he never talked about them much that I recall. He would just talk about the music at hand. He was so into what he was doing at that time. Q. When you were with Sonny did you ever have a moment when you felt unprepared for the gig? Or that caused you to work on some aspect of your playing? From then on, that was it. I just played hard with him because he was such a strong, dynamic player. I just followed his lead. He loved drummers. He used to just kneel down and play right next to me from time to time. Q. When you first joined Sonny had you listened to any of his other trios? A. Uh huh. I had listened to a lot of his stuff. I was a big Sonny fan. And I would go to hear him every once in a while. I had no idea I was going to wind up playing with him. But, yeah, I did listen to a lot of stuff. Q. Was that listening helpful? A. Yeah, it was helpful, I guess. They expect you to know their music, for some reason, when you join their band. That’s what he said: “Do you know my music?” I said, “Um, some of it.” But most of the time, fortunately, he was playing standards and some of the tunes he wrote. So that was easy. We just played. This entry was posted in SKF Blog and tagged Coleman Hawkins, Drummer, Roy McCurdy, Scott K Fish, Sonny Rollins. Bookmark the permalink.